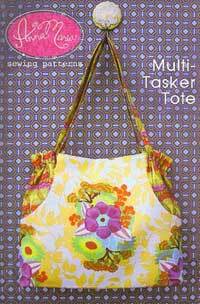 The Multi-tasker Tote Pattern by Anna Maria has organizational features to take you through your busy day, including lots of pockets both inside and out. Finished size is 18 in. wide x 14 1/2 in. tall x 4 in. deep.